Good Toddler Music Can Be Very Beneficial And Fun For Your Childs Development. What Makes Toddler Music Important For Growth And Development? It’s toddler music time! Music is very important for your toddler’s development, and you should choose the music you have your child listen to just as carefully as you choose nutritious, healthy foods for him to eat. Share your favorite songs with your toddler—and share the way they make you feel. If there’s a song that sets your heart racing and makes you feel like you want to dance across the room in ecstasy, pick your toddler up and do a dance together as you listen to it. If there’s a piece you love to listen to when you go to sleep, put it on when it’s almost your toddler’s bedtime and share a cozy half hour in the rocking chair together, just relaxing. Music is an expression of the soul, and listening to good music can open your child’s neural pathways in a way that nothing else can. When your child needs cheering up, put on happy music for kids. If your toddler is wild and needs calming down, find something sleepy and slow paced. 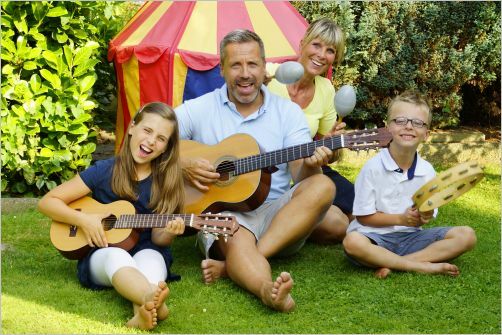 Expose your child to a wide variety of music styles and traditions, and allow him to find his own niche. Of course, if there’s a particular genre you can’t stand, you’ll likely want to skip that. But just because classic music doesn’t turn you on doesn’t mean your child can make do without an introduction to the stuff. And your favorites, dad’s favorites, and grandpa and grandma’s favorites should all have their place in his listening repertoire—along with his own music and child-focused sing-a-long songs. That said, you don’t want to introduce your child to crass language or potty talk, and you need to make sure that the volume on all your songs is low enough it won’t damage his sensitive eardrum. Even with those two restrictions, though, there is plenty for you and your child to enjoy together. There’s no better way for a toddler to really get into music than to get into motion—dancing, stomping, or playing action games. This is the way your child interacts with his music, and it should always be encouraged—better yet, join with your child in the fun! Learn fun toddler songs with lots of actions, like Itsy Bitsy Spider or The Wheels on the Bus, and sing them together when you’ve got a moment or two between things. Your child may not be quite ready to learn piano or violin yet, but that doesn’t mean that you can’t teach your toddler music. If your toddler is into beating drums on everything on sight, beat with him and encourage him to fall into rhythm with you. Slide whistles and recorders are also toddler-friendly instruments, and even if you want to save the formal music classes for kids till after kindergarten is over, there’s no reason why you shouldn’t buy your child one now and let him experiment. Children love to make noise, and they learn an enormous amount as they play. Have fun exploring the joy of music with your toddler; and remember, for your little one, music should always be equal to fun!